35 Women Under 35: MT needs you! 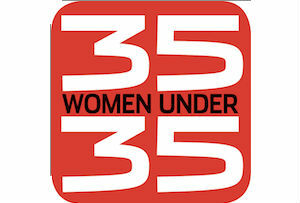 MT has started its search for high flying young women in business for our 2013 ’35 Women Under 35’ list. Do you know a good candidate? Do you work alongside one? Could you even be one yourself? If so, then let us know. We're on the scout for women who will be aged 35 or under on the 12 July 2013 and who are achieving great things in their area of expertise, whether that's in corporate life, as an entrepreneur, in a social enterprise or in the public sector. The deadline for nominations is Friday, 12th April. Please email MT's features editor Emma De Vita at emma.devita@haymarket.com with the person's name, contact details, date of birth, a short biog, an outline of current job responsibilities, and details of any outstanding achievements inside and outside of work. What are you waiting to for? We'd love to hear from you.